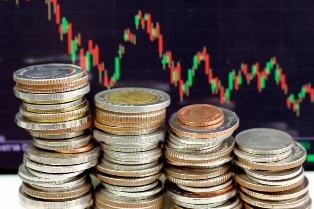 Just 17% of large cap equity managers beat the benchmark S&P/TSX Composite Index in the second quarter, according to a report by Russell Investments Canada. That’s down 41% from the first quarter, and the lowest percentage seen since Q3 of 1999. The median large cap manager return in the last quarter was 3.4%, well behind the benchmark return. “The first half of 2016 presented Canadian large cap managers with considerable challenges to beat the benchmark, particularly due to the strength in the energy sector and gold stocks,” said Kathleen Wylie, head of Canadian equity research at Russell Investments Canada. Gold stocks spiked a record 41% in Q2, with large cap managers averaging about 3% underweight, Wylie added. Four of the top 10 contributing stocks in the index in Q2 were gold stocks, accounting for more than 25% of the index gain. That included top contributing stock Barrick Gold – a stock held by less than 20% of large cap managers. Q2 marks the second consecutive quarter during which active managers struggled to beat the benchmark, according to Russell Investments Canada. However, those quarters were preceded by six consecutive highly favourable quarters for active managers.